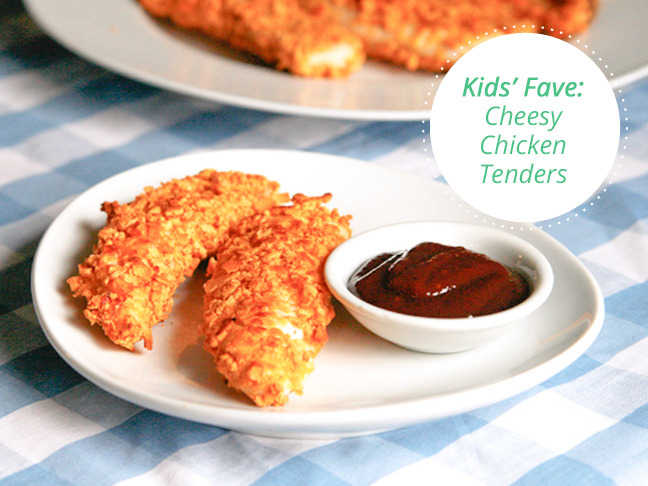 Do your kids adore chicken tenders as much as mine do? 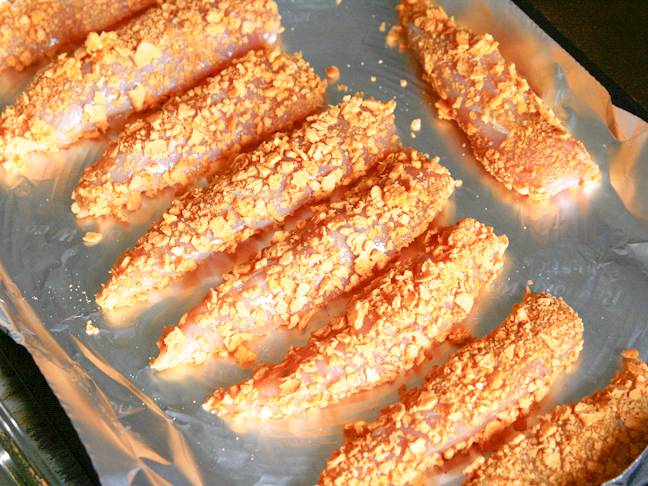 Then they will go crazy for these easy cheesy baked chicken tenders with a delicious crunchy coating. And you'll love how easy they are. 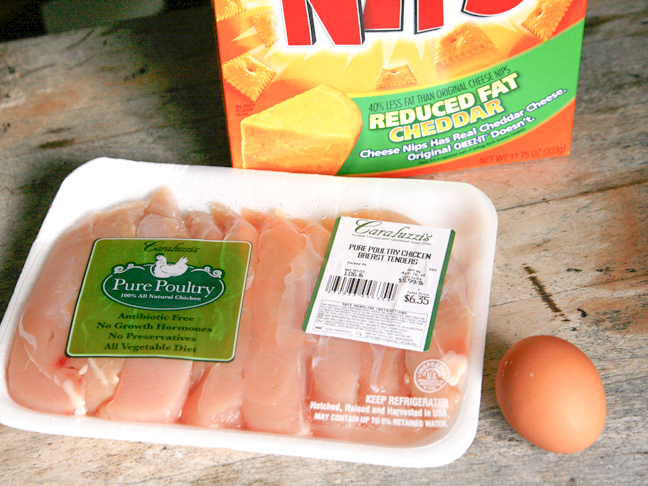 These chicken tenders pack a cheesy crunch that my kids love---and I love them because they're super easy to make! Step 1: Preheat the oven to 425 degrees. Line a baking sheet with nonstick aluminum foil. Step 2: Beat the egg well with salt and pepper and add to a dredging dish. Add the crushed cheese crackers to a second dredging dish. 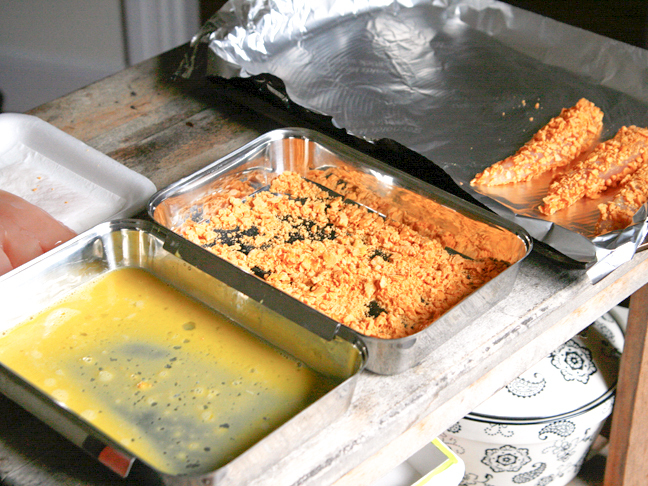 Step 3: Dip each chicken tenderloin first into the egg and then into the cracker crumbs. Arrange on the prepared baking sheet. Continue until all of the chicken has been used. Step 4: Bake the chicken tenders for 18--20 minutes,flipping once, until cooked through. 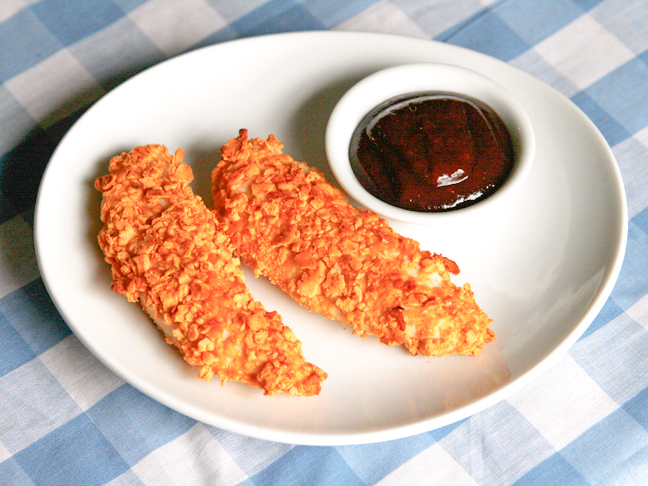 Enjoy immediately---these are particularly good with barbecue sauce.